*Horn salt (also hartshorn) is used in traditional Norwegian baked goods as a leavening agent. Modern horn salt is ammonium bicarbonate. In the USA it can be purchased at the pharmacy. English to Norwegian Translations Greetings and Phrases. English Norwegian Translations Helpful Terms. English Norwegian Translations Cooking and Baking Terms. 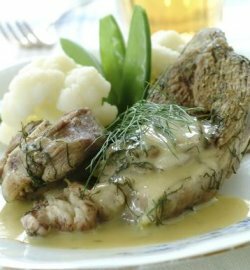 Check out Norwegian Recipes here.